Re: An urgent warning about…..
An urgent warning about the vitamins and remedies you use on your pet every day: Every time you use an unproven natural cure YOU COULD BE BETTING YOUR PET’S LIFE! Sure, they ALL say they are backed by research. If you ignore these proven remedies, and listen to the hucksters and snake-oil salesmen, you???? ?re truly playing Russian roulette with your pet’s health. To protect you from today???? ?s epidemic of unproven natural cures, You need confidence in someone you can TRUST. 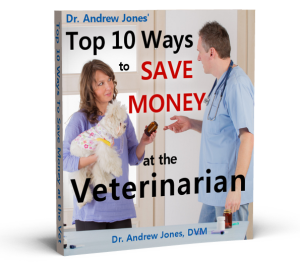 My Best Selling Book, http://www.veterinarysecretsrevealed.com is PACKED with natural remedies that have been proven effective. As I write this email, I am boiling mad, dear friend, You see, for the internet is populated with sham artists who are in it for the money..
GO to their website and try and find a phone number.. Try and see where they work.. In fact, I truly believe that many trusting Pet owners are risking their pet’s lives by relying on unproven, crackpot cures to heal their pet’s at home. And How did this happen? Simple. Now that natural healing is a $27 billion dollar business, the rip-off artists have moved in. And right now, they re running some of the slickest, dirtiest, and even most dangerous advertising we have ever witnessed. They will promise you anything to get at your money. They don???? ?t care if they don???? ?t deliver on their promises. They don???? ?t care if you get sicker and sicker. And some of them don???? ?t even care if they kill your pet. So let me give you a small example..
Flax seed is all the rage..If yo going into any pet store EVERY premium pet food will have flax. The omega 3 fatty acids in flax are very helpful.. But, Cat’s are unable to convert the type of omega 3 in Flax ( ALA) to DHA and EPA. These are the types of omega 3 fatty acids that are critical in treating arthritis, allergies, cancer and a whole host of diseases. Most veterinarians DON’T know this. The “experts” that sell the food DON’T know this. But, I have spent hundreds of hours researching, reading and learning, so I know this and I can share it with you. First do what I advise all my readers to do – QUESTION! Question what you are reading are hearing. Grab your copy soon before the price jumps. Keep yourself informed on the latest in pet health care by reading my newsletter and by telling others.